As Marie shared in her post last week, many of the members and friends of New Zealand Handmade have online shops at Etsy. I was inspired to put together an Etsy Treasury (a user curated collection of items for sale on Etsy) featuring some of our work. Click the picture to visit the treasury and to get a better look at the individual pieces. 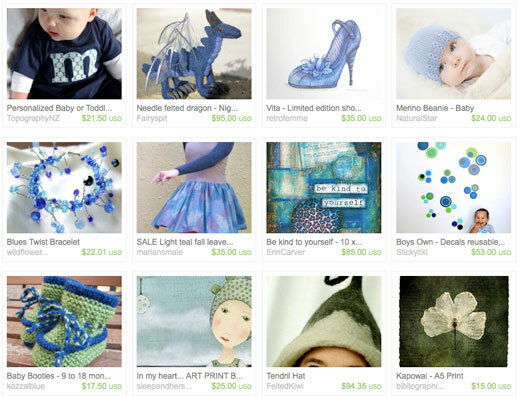 Thank you very much for including Vita - the blue and green combination is lovely! I've just posted a link on my blog.